Today AUDUSD had a sharp fall but now it is staying neutral. Further rise is expected to push the price to 0.7849. Despite the fact that AUDUSD is going down the descendant channel in long term basis it might reach the channel roof for today. While keeping its bullish bias, the price is fluctuating above the pivot line at 0.7500 and MA of 20. The MACD indicator is in negative territory showing the price correction. Long positions are recommended targeting 0.7570 and 0.7610. 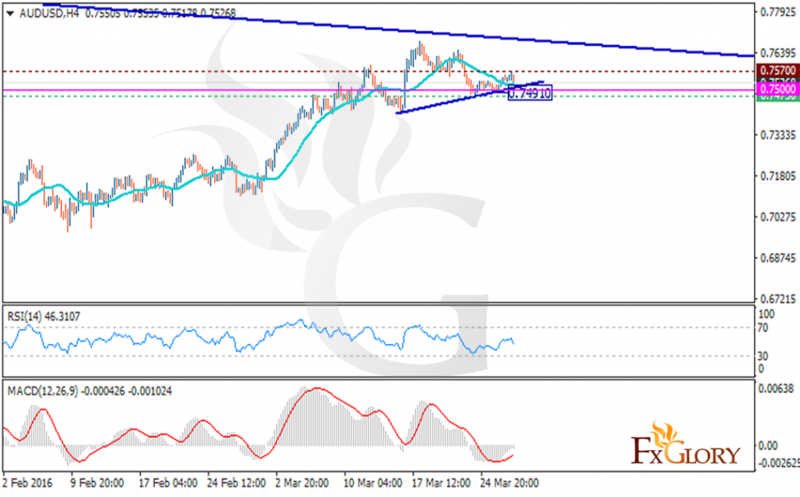 If the price falls under the pivot line, short positions are recommended targeting 0.7475.